Here is the location of the likely tornado as of 10:43pm. 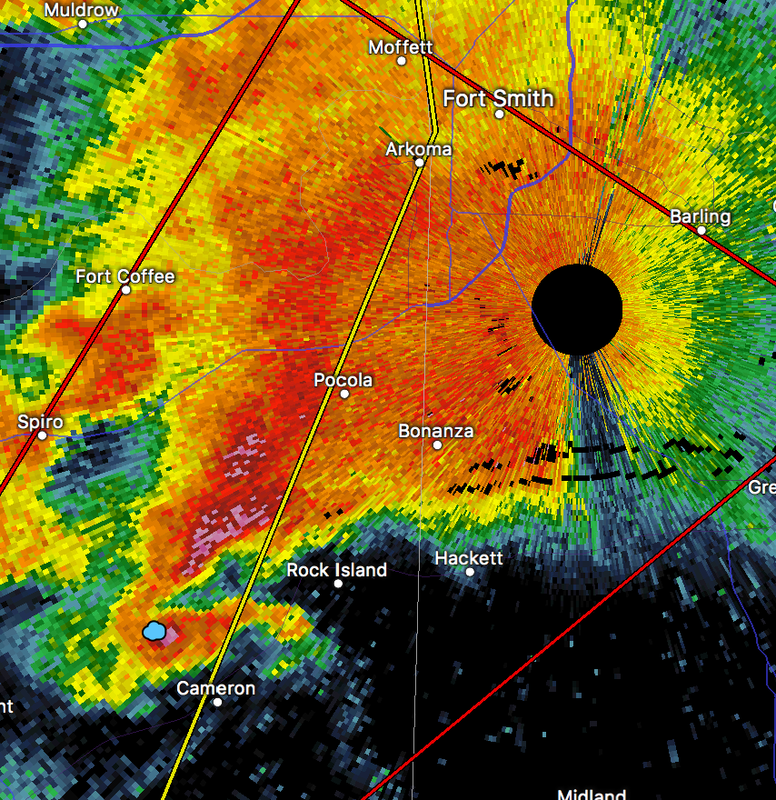 It is headed toward Pocola, OK / Bonanza, AR. Ft. Smith is in the tornado warning and should take cover. Please see my severe weather forecast below (scroll down). There could be other tornadoes in the purple polygon as well as 3"+ hail and damaging thunderstorm winds.